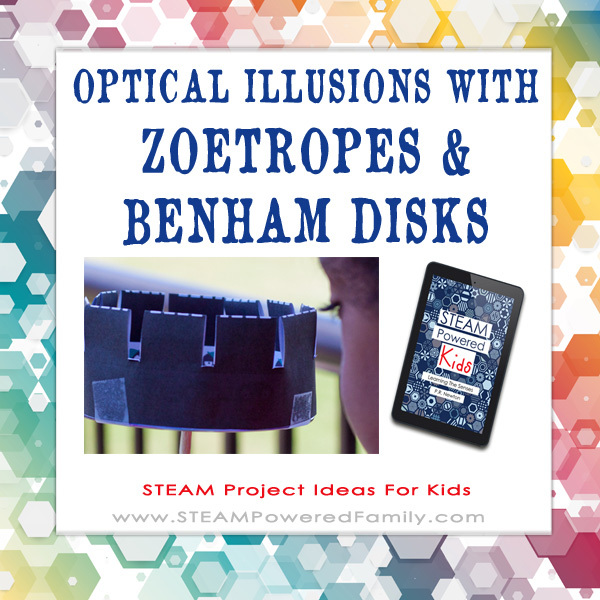 STEAM Project Ideas for Kids – Zoetropes and Benham Disks. Enjoy this sneak peek into a project from STEAM Powered Kids – Learning The Senses. Scientists use the investigative process to learn from their experiments and studies. Children naturally have a curiosity and passion to uncover and discover, fostering that drive will help them become critical thinkers with strong foundation in the investigative process. The best way to start is by teaching children about their senses and the newly released book STEAM Powered Kids – Learning the Senses makes it easy to get started. 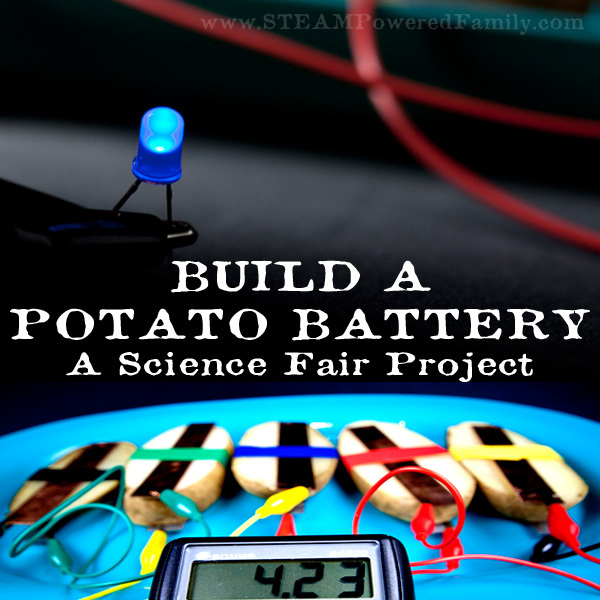 It’s packed with STEAM project ideas for kids! 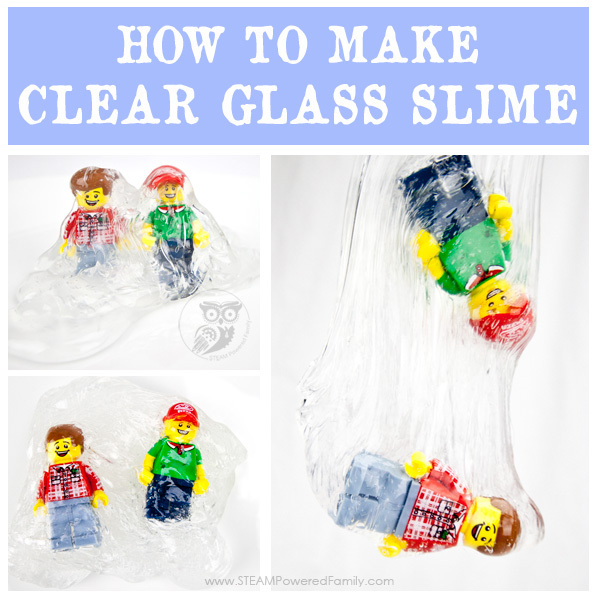 Children love activities that have a good “wow” factor. They enjoy being surprised and discovering something new and cool. These STEAM project ideas combine two visual illusions that will fascinate children. 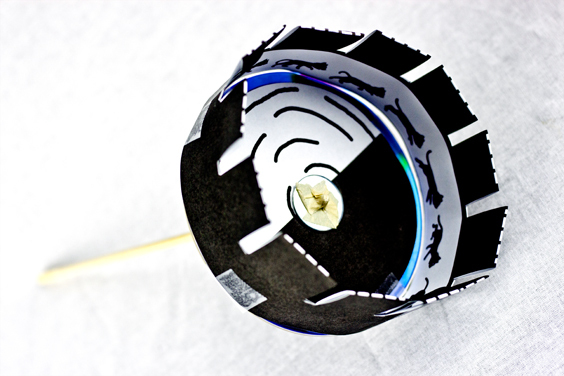 Trick of the Eye is actually a combination of two traditional illusion projects: the Benham Disk and a Zoetrope. 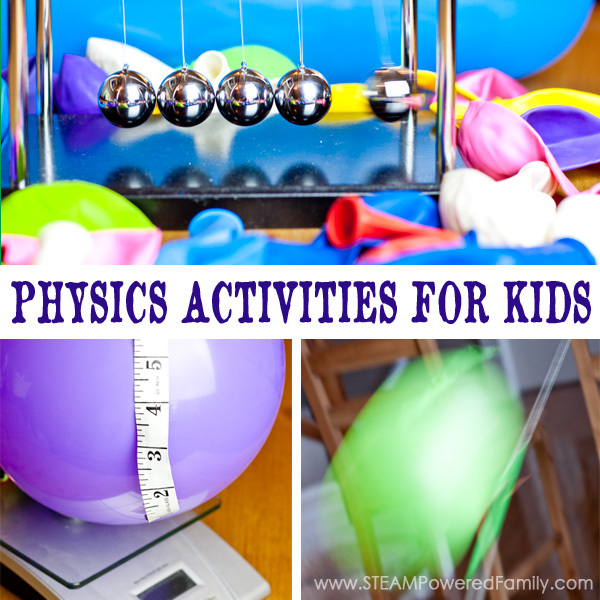 This STEAM activity is from the new book STEAM Powered Kids – Learning the Senses. First we mounted an old CD onto a chopstick, securing it in place with two washers and a bit of tape. Then the fun begins. For a true STEAM activity, artists can create their own illusions including an animation sequence, or the book includes pre-drawn templates. After cutting, folding and putting it all together, it’s time to test it out! The Benham Disk is on the face of the CD and consists of a circle that is half black and half curved black stripes on a white background. It seems normal enough, but when you spin it and look straight down colors will appear. What colors a person sees varies. Most people report seeing one color, but some see multiple colors, while others may not see any colors at all. The scientific theories behind why people see different results is fascinating and can lead to some wonderful conversations about perception and understanding how we all see the world a little differently. 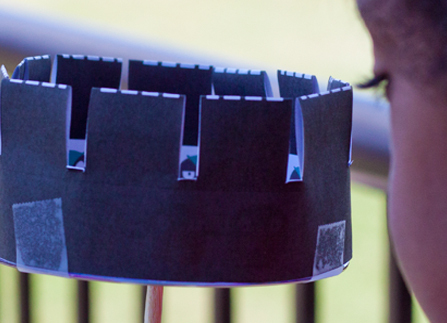 Next up, we created a Zoetrope. A zoetrope is an old fashioned animation machine. Before we had TVs, this was one of the ways to create the illusion of movement from a stationary image. In our build, the cat would appear to run and jump as we spun our zoetrope and peered at it from the side. We also created a blinking owl. To say the kids loved seeing the images come alive would be an understatement! They couldn’t get enough of this. It also became a very calming activity. The kids loved to quietly sit and study their spinning Zoetrope and Benham Disk. It seemed to really relax the children. This Trick of the Eye STEAM activity is only one of many great activities from the newly released book: STEAM Powered Kids – Learning the Senses. This is the first in a series of books designed to make teaching STEAM easy and fun for parents and educators. Each book is a themed unit study that includes activities, lessons, shopping lists, printables, vocabulary lists, puzzles, worksheets, journal pages, resources and more. STEAM Powered Kids is a professionally designed series of books, with each installment focused on a specific theme. 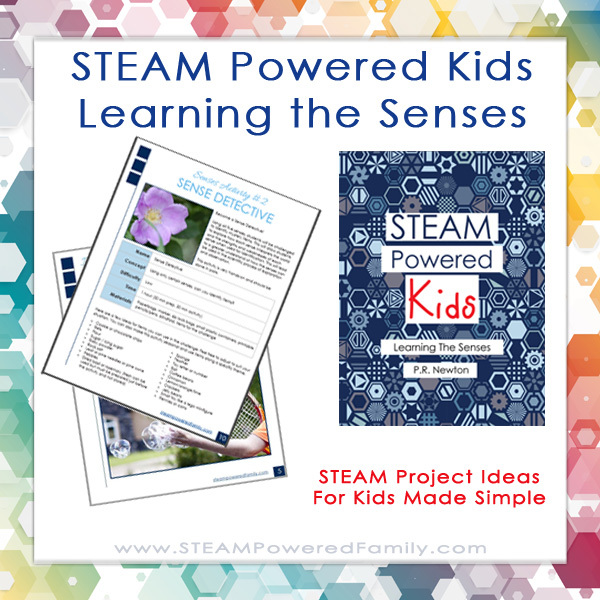 Book #1 STEAM Powered Kids – Learning the Senses has just been released. Book #2: STEAM Powered Kids – Learning Candy Science, will be released later this year. Grab the PDF copy here for an easy to print version you can use on your desktop. It is also available on: Amazon Kindle, Kobo, Barnes & Noble Nook and Apple iTunes. You can also grab the activity pack at Teachers Paying Teachers. Check out this video about the art of the Zoetrope!